Both the Little Sister Private Build and the Little Sister Crossroads are exceptional guitars, each in their own class.  The Private Build is the pinnacle of B&G Guitars' proficiency in the art of electric lutherie. By using the best possible tonewood selection and the most traditional building and finishing techniques, any Private Build is a flawless, fascinating creature, as well as one of the best sounding guitars on the planet. The Little Sister Crossroads is almost as magical, offering similar feel, tone, quality, and look as the Private Build, but at a fraction of the cost. Obviously, there are subtle, yet noticeable, differences, as illustrated in the specification comparison table below. But what is the difference between the Private Build and the Crossroads in plain words? First of all, it is not really about the country of manufacture. It is about building techniques, economic scale, and raw materials. The Private Build was created to be a magical time machine, using traditional techniques that are not suitable for mass production, as they are slow, expensive and require a great set of skills. This is why those techniques were ditched in the early '60s by all the major guitar manufacturers. Even the woods we use were widespread in the '50s, but today we struggle to find enough of them for our relatively modest capacity of 30 Private Build guitars per month. Apart from making the guitar look and feel as if it was built in the Golden Era, we put tremendous effort into voicing the guitar to achieve the acoustic tone we aim for - a very careful balance between clarity and warmth, definition and sweetness, with sustain and overtones to spare. Our pickups are hand-wound, in-house to ensure that the electric tone will bloom and evolve from the acoustic one exactly as we want it to, with great openness and unique touch sensitivity and dynamics. This kind of tone is not easy to find today with modern-made guitars. There is no magic, though – the key is not compromising on the way things are done: good enough is not enough. Finally, the Private Build is, indeed, a private build. You, as a customer, can collaborate with our team of Master Builders to select your favorite figured maple top, the most appropriate finish to enrich your guitar, to fine tune all possible options. We work hard to make sure the Private Build can't get any better, and we work just as hard to make sure the Crossroads is the absolute best guitar available for its cost. We wanted to deliver the Little Sister experience with minimum compromises. The traditional building techniques were not an option, so we selected the best modern techniques for the Crossroads. The Crossroads are cured with a beautiful UV finish, very comparable to the Nitrocellulose lacquer we use for the Private Builds in terms of shine and thinness. The tonewoods are picked from the absolute best selections available for semi-industrial production, and they are all solid. We don't use any plywoods or veneers on our guitars. The pickups are wound to our stringent specifications, to make sure they will deliver the most authentic Little Sister tone. The electronics are very competitive and carefully assembled. Even the bridge and the tailpiece are not standard by any means. They are designed and manufactured to resemble the same familiar look and to deliver similar resonance and tonal qualities as our original Little Sister. For the most demanding players, the Crossroads pickups, electronics harness, and bridge can all be upgraded to Private Build parts. We traveled a long way, several times, to the workshop in China to meet the builders and train them to ensure that every detail of the product will meet or exceed our expectations. The resulting Little Sister Crossroads is a guitar that is a real game changer. B&G Private Build pickups are wound by hand, in-house. We have been optimizing them for years, to deliver their true, vintage-sounding, rich tones. To achieve that additional feel of airy openness and sensitivity to the acoustic tone, they are not wax-potted by default but can be ordered with a light potting. They are superb for clean, jazzy/bluesy crunch and mid-gain picking. The P90 is our seminal design, with Alnico V magnets and a rich tone, embodied by a translucent halo of upper harmonics, and fat, warm bass. The Humbucker is voiced after some of our favored '50s PAFs, with the unmistakable cutting midrange and clear, but sweet, trebles. The Kikbucker is another original design from B&G, for those players who love the P90s but need to get rid of their typical hum. With a stacked humbucking design, the Kikbucker delivers a stronger, focused and powerful tone, while retaining the typical sound and the exact same look and size of a standard P90. It is possible and recommended, if your budget allows, to consider upgrading some of the parts on the Little Sister Crossroads. Many of the Private Build components can be directly replaced in the Crossroads, further augmenting the extraordinary tone and value of the guitar. The first and easiest upgrade that we recommend is the Private Build Brass Bridge. It is milled from a solid brass block to offer maximum resonance, a very specific tonal imprint, and excellent note separation, twang, and sustain. The Crossroads P90s can be upgraded to the Private Build P90s or Kikbuckers, and the Crossroads Humbuckers can be swapped for a Private Build set. As mentioned, the Private Build pickups can make a difference especially with clean, pushed and low-mid gain tones. But if your tones are mostly overdriven, up to high gain, you may find the Crossroads pickups to be a very desirable alternative for their really great voice, added power, and their stronger resistance to squealing and feedback due to their wax potting. Lastly, we also offer a Private Build pre-wired electronics harness that can be installed in the Little Sister Crossroads. The harness provides the highest quality electronic components on the market such as CTS potentiometers and custom-made B&G capacitors, wired in the classic 1950s topology, as well as a Switchcraft toggle switch and output jack, for a subtle tonal upgrade and state-of-the-art functionality. Fret 1 Thickness 0.89" / 0.86" (Slim Neck) 0.89"
Fret 10 Thickness 0.96" / 0.91" (Slim Neck) 0.96"
Nut Width 1.68” / 1.75" 1.68"
Scale Historic 24-3/4" Modern 24-3/4"